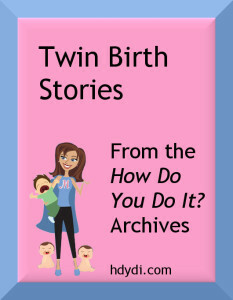 From the Archives: Twin Birth Stories | How Do You Do It? We’ll be sharing more twin birth stories throughout the week. Here are the ones that have been published on HDYDI in the past. “Let’s Bring Those Babies!”: Cheryl Lage had her babies at 36w4d. Her pushing muscles gave out between Baby A and Baby B, but dry heaving birthed her daughter. Not a NICU in sight for this pair! My Semi-Planned C-Section: Goddess in Progress had a C-section scheduled for 36w6d, but her twins decided to beat the clock by a week. Her hospital stay and recovery weren’t bad, although Daniel and Rebecca did put some time in at the NICU. Josh and Nate – The Birth Story: Emomily had her boys at 36w3d after a routine ultrasound showed Twin A’s amniotic fluid running low. She had them by C-section, sturdy 6 lbs, 12 oz and 7 lbs, 4 oz. The Birth Story of Sarah and Samantha – Born 12/26/06: Twinmom122606‘s identical daughters, diagnosed with TTTS, were delivered by scheduled C-section at 36w4d. They were released from the hospital with Mommy! 3 Months of Bed Rest, Emergency C-Section, and One Week in the NICU: LauraC didn’t have the easiest pregnancy. A highlight? Contractions every 15 minutes for 4 weeks. 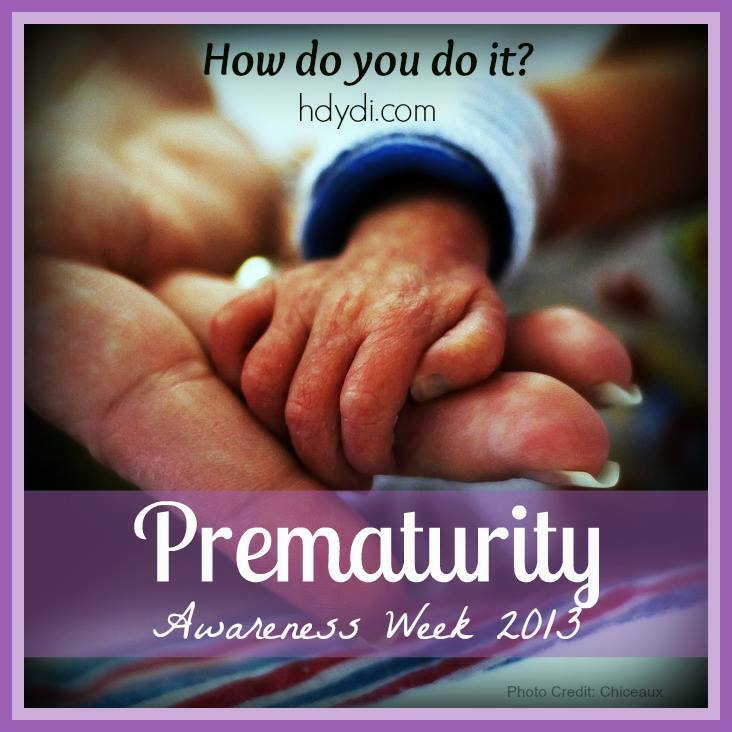 Her time in hospital was very emotional and her boys spent some time in the NICU. She counts her “real” newborn experience from the time that the boys came home at one week old. Every Which Way: Tracey had some liver issues that prompted the doctors to deliver her boys 1 month early. Abel was born vaginally and then Oskar required a C-section. That’s right. Two childbirths in one. Ouch! Aaron & Brady’s Twin Birth Story: MamaCyn had her boys at 34w after 6 weeks of bed rest. This was her second NICU experience. The boys spent 2 weeks in the NICU and are doing great. Easter 2007: Birth Story: Rebecca originally opted for a vaginal birth but eventually required a C-section. Danny and Abigail were born at 36w2d, spent one night at the step-down nursery for monitoring, then joined mom and dad. The Never Ending Pregnancy: Krissy carried her twins to 39 weeks and delivered them by C-section. They were healthy and perfect. Coming to Term(s): Craftylissa‘s elevated blood pressure landed her in the hospital at 32w. At 33w, her boys were born by emergency C-section. They were released after 4 weeks in the NICU. No Surprises: CarrieinAK‘s birth story was pretty drama-free! Her boys were born at 36w. Her recovery was painful, which is expected whenever you have major abdominal surgery. In Retrospect: Jenna ponders the life lessons her C-section experience taught her. 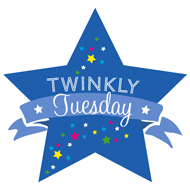 Twinfant Tuesday: Why Not? (and Earplugs) and By Way of Introduction: Jeanene‘s youngest two children are adopted. In these posts, she talks about her daughter’s first year and how she and her not-quite-twin brother joined Jeanene’s family. Not How I’d Planned Things to Go: A & B’s Birth Story: It’s taken MandyE a long time to come to terms with things not going as she’d always envisioned them. Have a multiple birth story to share? Please link to it in our blog hop or tell us about it in the comments. We especially want to hear about how things went for higher order multiples!